New York, New York (March 15, 2016). Alkaline is dancehall’s most talked about artist right now with his eccentric style, lyrical versatility and melodic ability, he is set to release his highly anticipated debut album, titled ‘New Level Unlocked‘ March 25th. Alkaline who emerged on the scene in 2013, quickly climbed the international scene as he emerged shattering the dancehall ‘norm’. His melodic play on words caused lovers of dancehall and hip hop to gravitate to his music. With his rock star image, long hair and eclectic musical ability, Alkaline definitely made a name for himself in the past three years. Known for bending the rules and taking chances Alkaline is definitely a trendsetter in his own right. 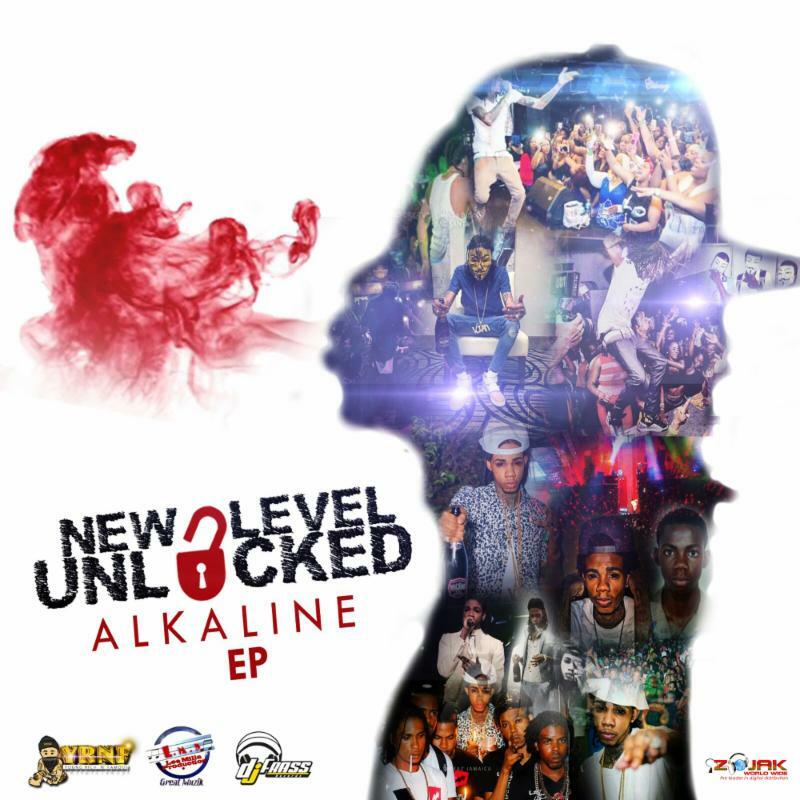 The title ‘New Level Unlocked’ defines the musical maturity and career growth Alkaline has attained in such a short time. “We wanted to showcase the maturity of Alkaline and highlight his ability to play with melodies on this album. Giving the fans another side of Alkaline but also presenting the Alkaline they love was the focus during the production of ‘New Level Unlocked’ says producer DJ Frass. Produced by DJ Frass and distributed by Zojak World Wide, ‘New Level Unlocked‘ is set to release Friday March 25th. The 15-track album, which started out as an EP features some of Alkaline’s hottest tracks in the dancehall like “Champion Boy”, “Try Again” and “ATM”. Currently available for pre-order on iTunes, buyers will receive the brand new single “Conquer the World” as an instant grat track. “New Level Unlocked for me is just taking everything you’ve experienced in life as a lesson and using that lesson learned as motivation to go harder and to be better. As long as you’re alive there are levels to be unlocked; places you’ve never been, things you’ve never seen. The goal is not necessarily to attain but rather to maintain always moving up never get complacent or washed up” says Alkaline.